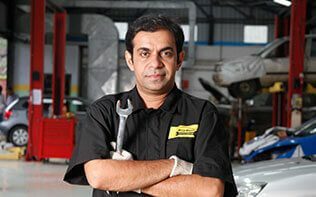 What if we say that you can take care of your annual car maintenance needs in Just Rs 299*, Unbelievable? We at MFCS, believe in giving our customers a bouquet of offerings for all their car maintenance needs throughout the year. Scientifically crafted offers based on various brands of cars and their service requirements, these bouquet of offerings will ensure that health of your car is always good. Typically , In a year, a car needs two Paid services, Regular car washes, Wheel alignment and Balancing, Interior and Upholstery cleaning, Panel Denting and Painting, Anti-rust treatment, General check-up and more. MFCS offers all these servicing requirements in one package and helps you save lot of money and time. So what are you waiting for, Buy the package now and enjoy stress free drives.